I'll be posting my own tutorial for the week for tomorrow. 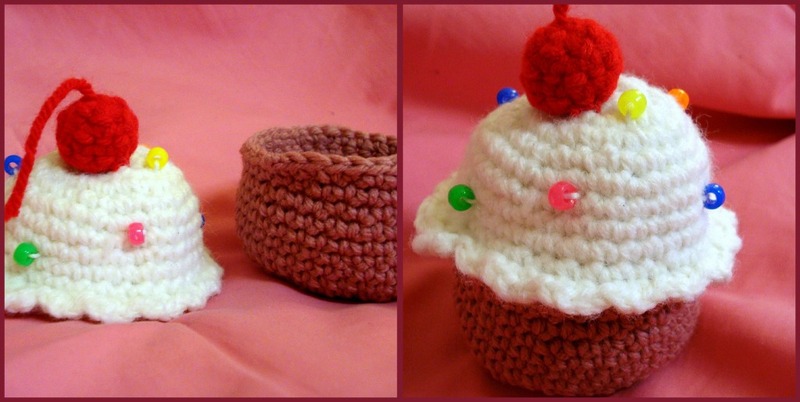 In the mean time...I want to share with you some cute creations my college friend Caitlin has made!! Caitlin lives on my hall here at school and she is pretty much the cutest thing ever. She's beautiful inside AND out and so adorable...she signs her emails with cute little taglines like "hugs and cupcakes, Caitlin" or "rainbows and kitties, Cailtin" It always makes me smile. Can you look at that and not smile??? Here's what Caitlin has to say about her crafting!! The Japanese art form of crocheting small animals or food (or basically anything with a cute face) is called “amigurumi.” To find a pattern for a cupcake, for example, I would just search Google or Google images for “crocheted cupcake pattern” or “amigurumi cupcake pattern.” Some websites require payment, but there are plenty out there that are free! Cupcakes are her favorite to make. Just look at how cute these are and you will understand why!! Once you get the hang of basic crochet stitches, you can make pretty much anything using a variety of colors and a little creativity. For help with crochet stiches, check out YouTube videos. After I had made a few other things with patterns, I made the Ponyo (fish shown below) without a pattern! A basic sphere or cylinder is fairly simple to crochet, and you can make so many things with those shapes. Ahh I love this!!!!! Caitlin is so adorable and I want to learn how to crochet so badly! Weee! Thanks so much Becca! I'm going to send this to all of my friends and family ^.^ You are the sweetest! Hope you have a bright Friday! Those are sooo cute!!! I LOVE thr PONYO one, my kids would love it too. 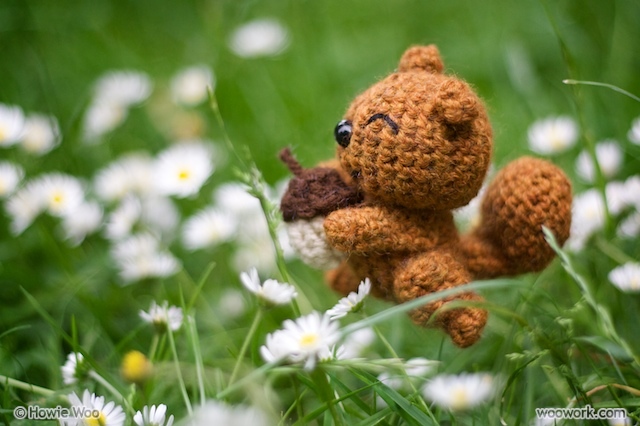 And the squirrel one is TOO CUTE!!!! I love them all. Does she have an etsy? The squirrel has a nut!!! 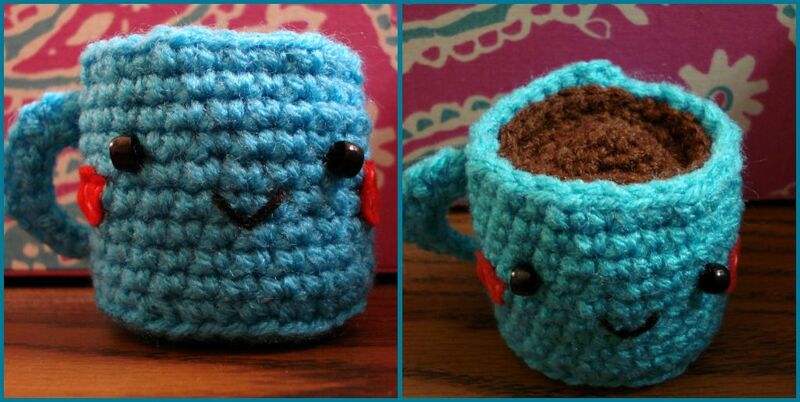 I recognized the mug right away because I've made him before (we must have the same book). Tell Caitlin I said that her squirrel is amazing!! He's the cutest thing I've seen all week.